The Thai Massage Institute of Maui offers an in-depth traditional course of study, designed for everyone seeking firm authentic foundations in this sacred healing art. 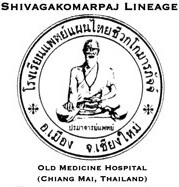 This school is of the Shivagakomarpaj Lineage, based in the Shivagakomarpaj Institute or "Old Medicine Hospital" of Chiang Mai, Thailand. Following the traditions of its lineage, once you have taken an eligible course with this institute, you may return as an intern for free to repeat that same course, in any format, as many times as you need! The educational standards of this Institute are of the highest quality for students who value the original roots and knowledge of traditional healing. No knowledge from healing systems of other cultures is used to describe or explain elements of Thai traditional healing, as such approaches threaten to dilute and weaken the knowledge, understanding and application over the long term. This Institute�s only exception for Thai traditional courses is the occasional use of Western anatomy, to more specifically and reliably teach students how to find the Thai energy lines, which often may be described in less specific and/or confusing terms. Beginning to advanced students will benefit from strictly traditional training in the basic foundations of Thai massage, energetic meridian philosophy and element theory, as this Institute advocates keeping such offerings as pure as possible to help preserve this priceless healing gem of Thailand�s culture! Courses by the Thai Massage Institute of Maui are approved by the National Certification Board for Therapeutic Massage and Bodywork (NCBTMB), providing quality opportunities for continuing education for massage and manual therapists.